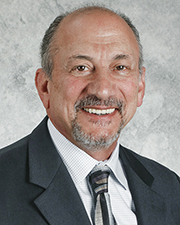 Holtsville, NY The New York Real Estate Journal recently sat down with Philip Fava, president of PK Metals and eGreen Recycling Management, LLC (eGreen), to talk about one of today’s most important and complicated issues, that of eWaste handling, disposal and compliance. 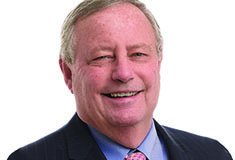 Fava has been a leading industry expert and spokesman for some forty years, and shared his insights regarding the importance of eWaste solutions. Q: How did you get started in the waste management industry? A: I’m a native New Yorker, having gone to St. Johns University and the University of Albany Business School with a concentration in Accounting and Finance. 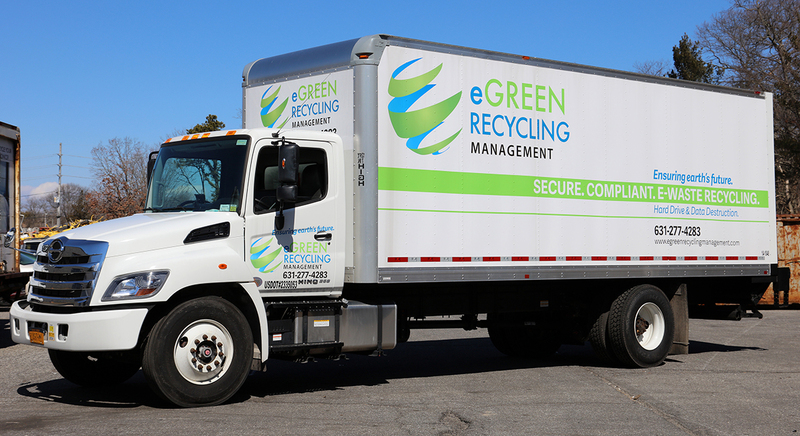 I have been involved in the waste management business since 1979 and eWaste since the inception of the industry. Through the years, I, along with my partner Richard Smith, have managed the company, expanded markets and services, added facilities, and made many innovations to continue growing the business. Q. How do you define eWaste? What is eWaste and what isn’t? A. Today the term “eWaste” refers to sophisticated electronic items of just about all descriptions like desk top computers, laptops, iPads, scanners, and printers. Office copiers, fax machines, paper shredders are commonly recycled along with TVs, telephones and cell phones. Other types of waste (which we also recycle) are categorized as “universal waste” and include batteries, lamps and any other products containing mercury. In addition to federal regulation, every state has its own standards and requirements that must be met. Q: How did you get involved in eWaste? A: It is a long story. PK Metals handles the recycling needs of corporations, municipalities, government agencies and the general public. We are one of the largest waste recycling organizations within the geography. We recycle tens of millions of pounds of scrap metals annually. This metal waste is typically aluminum, brass, copper, gold, silver and steel that we supply to smelters/processors who turn it into usable commodities. We also recycle paper, cardboard and plastics. Times change, and the kind of recycling we were doing evolved through the years to include a growing stream of electronic waste. The term “eWaste” had not been coined at the time. Electronic waste often involves/contains hazardous elements like cadmium, lead, mercury and others. Environmental concerns over these metals and components of old or outmoded electronic products subsequently drove the creation of federal and state governmental regulations, stipulating and requiring compliance and oversite for all Original Equipment Manufacturers (OEMs) for special handling and proof of proper recycling. We saw a growth opportunity and decided to expand in that area and provide a green solution to businesses and consumers. Q. Why eGreen? How did that come about? A. Electronics, IT and communications change the world every day with new devices and systems, and these have finite lives, so eventually they must be disposed of. As PK Metals, we already had the environmental and recycling expertise and the recycling facilities. Most importantly we understood what IT managers, facilities managers and OEMs were faced with. We felt it was vitally important to be able to offer a fully qualified and compliant one-stop solution to eliminate the risks associated with recycling obsolete electronics and also to safeguard sensitive data. Most electronics do contain parts that are recyclable. Due to the landfill ban law passed in 2015, any new company in the field had to be able to keep the electronics out of landfills and waste streams because they are environmentally hazardous or detrimental. Finally, we felt that such an organization should be separate from PK and specialized in the electronics arena that became known as eWaste. Once we made the decision to pursue the niche, we proceeded full speed ahead. I even went to China as part of a U.S. Trade Mission to learn more about their practices of handling eWaste from their perspective. It was quite revealing. However, in today’s environment, due to market conditions and environmental issues, there currently is a ban on shipping electronic waste into China. Regarding eGreen, we looked at and evaluated a number of organizations, specifically seeking a company that had the right environmental mindset and was already involved in the business. In 2012, we purchased eGreen Management LLC. So, the new company came about to meet the surge of environmentalism that spawned increased government regulation and compliance as well as specific law changes such as the “CRT Rule” and the NYSDEC Environmental Conservation law. Q. What is the NYSDEC Environmental Conservation law? A. On April 1, 2011, NYS passed the Electronics Recycling law that required all manufacturers of electronics to recycle or reuse their products by weight. The law also made it illegal for disposal in landfills beginning Jan. 1, 2015. All OEMs searched out R2 and RIOS certified recyclers to collect, handle and report back to the state on their behalf to demonstrate compliance with all state and federal laws. Q. How has governmental regulation affected recycling? A. There is no bigger factor than federal, state and local governmental regulation, which is a continually evolving process. This oversight has changed the recycling industry dramatically through the years. Certified recyclers undergo strict, thorough auditing annually. The eWaste recycling industry was essentially created by virtue of governmental regulation establishing guidelines and mandating important procedures and standards like RIOS and R2 certifications. Q. Why are RIOS and R2 certification so important? A. I can say there are many reasons why they are important, but two stand out. They stipulate what must be done to positively affect the environment, both long term and short term. The standards also separate the real players from some of the fly-by-night recyclers who tell corporations and municipalities that they are compliant when in fact they aren’t. So, if you are an IT manager at a large company and you are replacing 100, 500, or a thousand old desk top computers, you need to have someone handle the disposition of the computers according to the latest standards, or you will be liable and at risk. A. RIOS is an acronym for Recycling Industry Operating Standard. It is an integrated quality, environmental, health and safety management system certification. By integrating the management system, recyclers like PK Metals or eGreen can more effectively manage their systems. This results in stronger health and safety programs, greater environmental responsibility, and better operational efficiencies. I’m proud to say we are a charter member of RIOS. A. Responsible Recycling (R2) is a standard that defines the best practices in the electronics recycling industry. R2 certified recycling facilities must implement a system of tracking the downstream management of electronic waste. To maintain this accreditation, an R2 facility must undergo an annual independent audit for adherence to the standard. Responsible recyclers must have strong and comprehensive environmental, health, and safety management systems for all IT and electronic equipment. Q. Do you provide customers with information or certificates once they have turned their equipment over to you for recycling? A. Yes. Typically, we can perform audits of commodities by type, but depending on the needs of our clients, audits can be more comprehensive to include asset tag/serial numbers of each item, along with a certificate of recycling or destruction. Q. What are the biggest challenges in eWaste recycling today? A. Data security, government regulation and compliance are right at the top, but there is a fast-growing need for security against potential cybercrime. Q. What about recycling computer hard drives containing sensitive data? A. That gets into the most volatile area of eWaste recycling. Data security is one of the biggest threats to businesses of all sizes today and that threat is not limited to new equipment. When it comes time to upgrade old computer capabilities and replace computers with new systems, disposal suddenly become a huge problem with far reaching consequences for all kinds of businesses. If you think about it, hard drives that are improperly disposed of and fall into the wrong hands can cause nightmares. So, we shred hard drives on the premises of our clients or in our own secure facilities as needed. At eGreen we use proprietary computer programs to wipe and sanitize drives in unit or in array before shredding. We have clients who insist on witnessing the actual sanitizing and destruction. And we provide proof of sanitizing and shredding of hard drives in the form of compliance certificates. Q. What advice can you give corporations about choosing a recycling source? A. Always partner with a reliable professional organization with a demonstrable track record. Ask to see their certifications. The certification standards are rapidly changing and getting more intense, which makes them more difficult to adhere to, but at the same time adds another layer of protection for downstream businesses and end user/consumers. That’s why IT managers within companies should be looking to work with trusted, certified vendors. Without a reliable recycling source, organizations open themselves up and are vulnerable to non-compliance and security issues. I recommend continual vetting of vendors as there is a great deal of misrepresentation in the industry. Vet your vendors and keep vetting your eWaste resource. It’s sad but true, not everyone plays by the rules. And regulations change rapidly, so you have to make sure that the people you select are knowledgeable of the changes in standards and are doing the right things with your computers and equipment to minimize your liability, your risk and your costs. Q. What does the future of recycling look like? A. It looks bigger and smaller at the same time. With each generation of new products, the effects of miniaturization and the cloud can be seen. Who can get along without their Androids and iPhones today? Devices are also getting smaller and lighter. Remember what TVs were like only ten years ago? Or computers 20 years ago? They were huge by comparison to today’s devices. eWaste will grow because there will be more and more new devices. We belong to the Institute of Scrap Recycling Industries (ISRI), an association that works along with all of its members to work on issues and challenges faced by the recycling industry. They developed a program named “Design for Recycling” which enables OEMs to work with us so they can design their products in a way to be more environmentally friendly for future recycling. And government regulation will continue to grow to protect businesses and the environment, not just in the USA but everywhere in the world. Q. What else can companies do? A. Having an Earth Day event is a good example of proactive thinking. eGreen sponsors Earth Day events for corporations, municipalities, libraries, fire departments, etc. They are basically one-stop drop-off events, that make it easy and painless to recycle your old computers and electronics. We arrive on premises with a full crew, GPS guided trucks, locking bins, and we do collection of eWaste right then and there. This is promoted ahead of time by the organization to encourage maximum participation. Then we do recycling at our own facilities and take the hassle out of the entire process.